August is a brilliant inventor who is afraid of the outside. Charlie is a crack pilot who isn't afraid of anything. Together these pals save lives every day. They also happen to be cats who pilot a powerful, mechanical dog suit! Always eager to leap into danger, this feline duo have their work cut out for them as they try to thwart Princess, an evil alien bent on enslaving mankind. Don't let the fact that Princess looks like a cute, diaper-wearing baby fool you. She's clever, determined, and totally ruthless. So when Princess and the browbeaten fools she calls servants enact a brilliant and dastardly plan to conquer Earth, August and Charlie pull out all the stops to save the day. I'm always thrilled when I find a new graphic novel that I know the students will enjoy. Sparks! is one of those books. I thoroughly enjoyed reading about August and Charlie and their mechanical dog costume. Both August and Charlie were experimented on leading to their extra abilities. August's brains combined with Charlie's piloting skills make for a fabulous dog hero. But the two don't agree on everything, especially being outside and getting credit for their lifesaving feats. Unknown to them they become the target of an alien disguised as a baby who plans to control all the animals on earth to take over the earth. Will August and Charlie be able to overcome their differences in time to save the earth from Princess's evil plans? Not only is the story entertaining but the art is delightful. And two cats dressing up as a dog to save the world is endlessly entertaining. I'm hoping there will be more August and Charlie to share with my students. On a camping trip with the Junior Rangers, Jay feels like the odd one out. He’s determined to get a photo of Bigfoot—but none of his friends believe Bigfoot exists. But if there’s no such thing as Bigfoot, why is there a giant footprint? And who is stealing all the snacks? Meanwhile, Sass the Sasquatch and her curious forest friends are playing practical jokes on the campers. On the last day of camp, disaster strikes when Jay falls into a rushing river. Sass comes out of the woodwork—despite her parents’ warnings to stay away from humans!—just in time to save his life. Soon after, Jay and Sass become fast friends, proving that nothing is impossible when it comes to friendship. Told in ten short chapters. 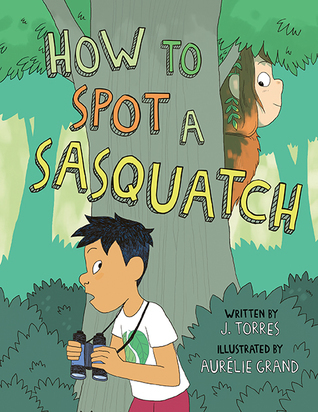 In this short, amusing graphic novel, a young boy goes on a camping trip, planning on finding a Sasquatch (Bigfoot). The other kids laugh at him and tell him there is no such thing as a Sasquatch But he refuses to give up. Meanwhile, behind the campers back, the reader sees a young Sasquatch spying on the visitors (and even swiping a few things). 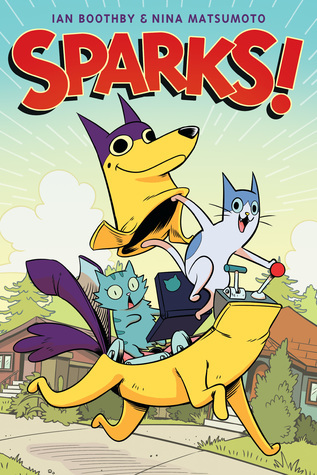 This is an entertaining, quick read for readers who like light, amusing graphic novels. The art is pleasing and it's great to see a person of color as the main character without it being an issue at all.